The Province West of Habana, one of the more special provinces of Cuba. First thing everybody mention are those weird looking mountains around Vinales area, called "Mogotes" In between them the beautiful fields (vegas), in these fields the best tabaco plants of the world are growing. It is easy to drive from Habana to Pinar del Rio, because there is a huge freeway to it. Under the bridges you will see hitch hikers who would like to have a free ride home. For a foreigner it will come in very handy to take a Cuban hitch hiker with you, as he could show you the way, because of the lack of signs at the road, and again, it is a fanastic occasion for meeting locals. hile in the area, visit Jutia and Levisa Keys, off the nothern coast, and the famous Vueltabajo tabacco fields, inland, where the best tabacco in the world is grown. 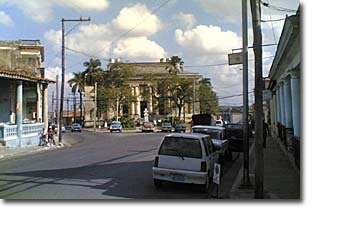 Capital of the province of the same name, has museums of natural sciences and history, the library which once belonged to the poet Dulce Maria Loynaz del Castillo (winner of the Cervantes Prize in 1992), a distillery that makes Guayabita del Pinar ( a local drink), a cigar factory with a House of Habanos, a House of Rum, the Provincial Visual Arts Center and a Troubadours' House. The province has several world-renowned natural attractions: Vinales Valley, a part of world natural heritage, with impressive pincushion hills with rounded tops. It also has one of the most important cave systems in Latin America and several underground rivers (one of which is navigable). The valley is an excellent place for hiking, spelunking, bird-watching and other forms of ecotourism, and the hotels blend in with their surroundings. See the Mural of Prehistory and try the medical mineral water. Las Terrazas (pop. 1200), though not significant in terms of size, it is certainly one the area's most interesting towns. The area's history of poverty began in the late 18th century when coffee crops planted by French exiles from Haiti began to fail. After that, the locals relied on sales of charcoal to feed and clothe their families. Not only did they become appallingly poor, but much of the area had been clear-cut, and was ecologically dead. 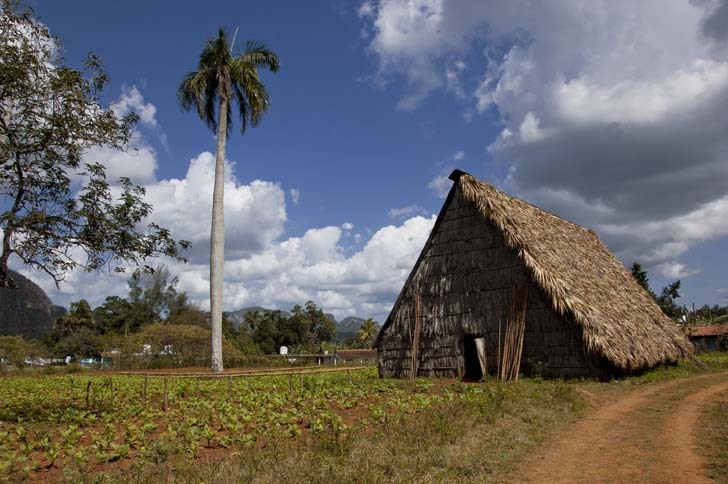 This area became one of the poorest in the province of Pinar del Rio. The town of Las Terrazas was founded in the early 1970's to provide housing for the area's families. The town was designed with good taste in mind, certainly a welcome change from the functional but ugly Eastern bloc architecture (example) found in many recent housing projects. Besides acting as a model community for progressive land uses and ecological study, Las Terrazas has recently adapted itself to host tourists. The type of tourism that this community hopes to attract is different from that of other parts of the country, however. The goal is to provide tourists with an enjoyable stay at the park but not to surround them with luxury. 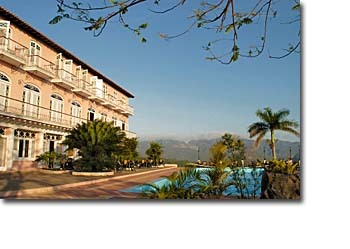 Thus, the biosphere provides many ways for tourists staying at hotels near the town to enjoy the area's natural beauty, such as hiking through the extensive network of trails, and swimming in los Baños de San Juan. The model of tourism for Las Terrazas also encourages interaction between tourists and the people of the area. The overall effect is to create an enjoyable tourist experience that is not loud, nor obnoxious, and does not leave the Cubans feeling like second-class citizens. Even for years after the Revolution, the area was still impoverished and fully reliant on charcoal exports. The people of this area were still isolated from the health care and education that would be necessary to escape the cruel cycle of poverty. In 1967, noting the area's horrid conditions, the government established programs of rural development and ecological restoration in an attempt to renew the community. Similar to the Agrarian Reform laws, and other projects around the country, the people were provided with housing and employment. In return, they were given the responsibility of working to replant the area's forests. The area's export of charcoal can now be considered a renewable resource, as only those trees which are sick, dying, or overcrowded are used for charcoal, and much replanting is done. 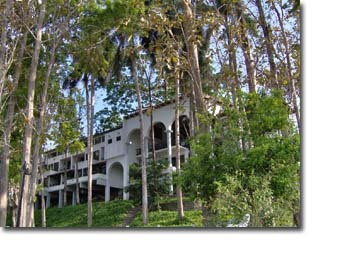 The Sierra del Rosario world preserve of the biophere includes Las Terrazas Tourist Complex, a rural community boasting scores of craftsmen and artists the ruins of many old French coffee plantations, rivers which are excellent for swimming, an ecological hotel, well-conserved forests of notable biodeversity which conyain many endemic species of trees, the Soroa orchid gardens, with over 700 species of orchides from all over the world and 100 from Cuba, in addition to around 6000 species of other ornamental plants, and a beautiful waterfall 72 feet (22 m) high.